Kind of sweet and sentimental and actually the last sketch I did on my roundabout trip to the grocery store with pastels and camera. 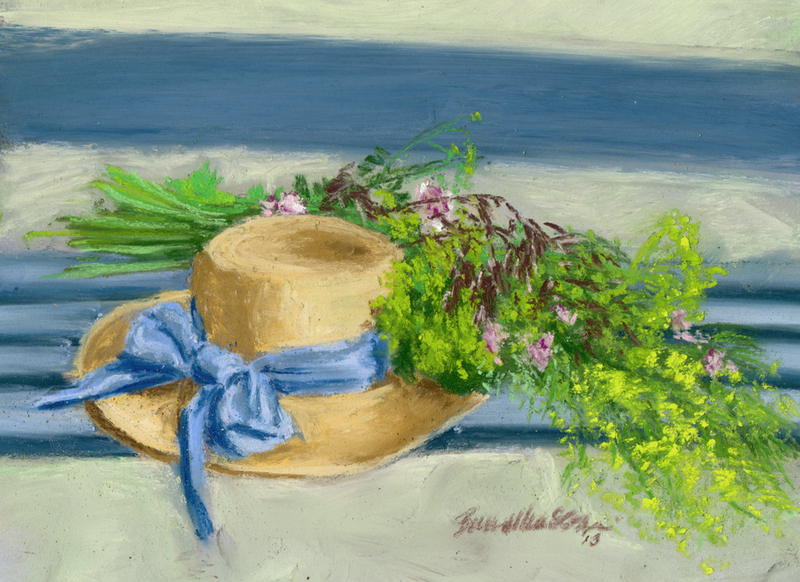 When I came home and parked my bike to unpack it, I untied the bunch of wildflowers I’d gathered and my sketching hat from the back of my bike and set them on my porch swing, then removed the bungees holding my bags of groceries underneath where they had been. I put everything in the house and came back out to get my hat and put the flowers in the vases on my porch and yard, and immediately felt another sketch coming on. And until the summer solstice this year, June 21, 2018, use the coupon code SPRINGINTOSUMMER25 in your shopping cart for a 25% discount. Price includes the frame and shipping. 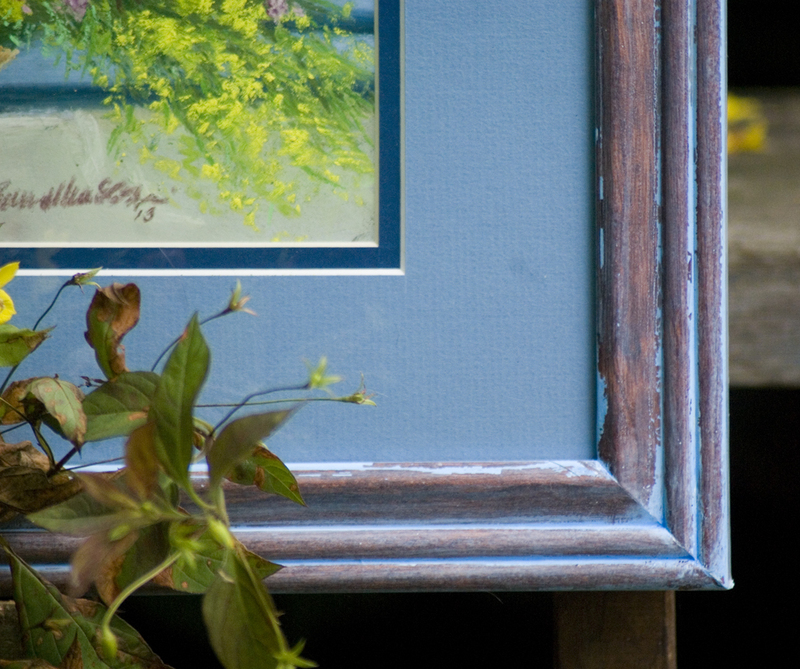 Price includes the frame, sales tax and shipping. Visit 25% Discount on Spring Art Originals to see what paintings are included in the discount. I send my Nature & Wildlife Newsletter quarterly, on the first day of each season, and occasionally to announce an exhibit or event. 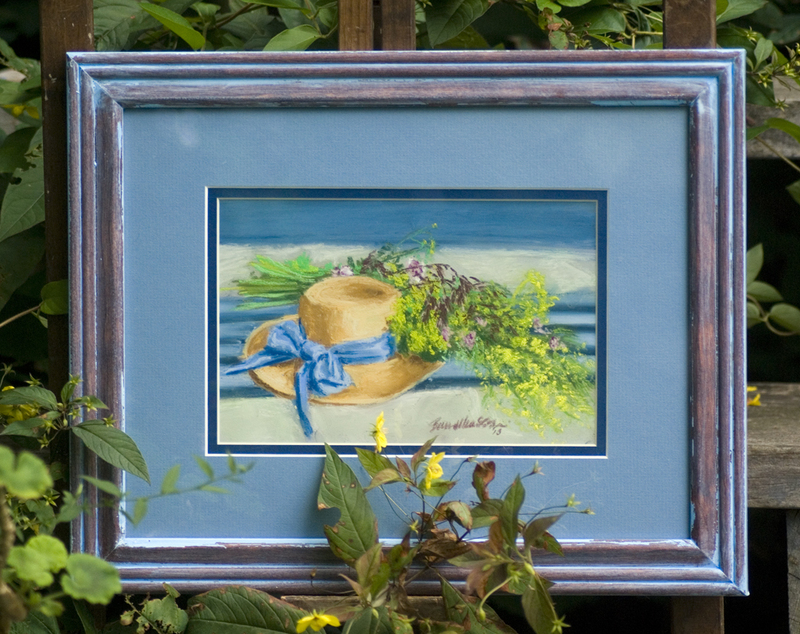 This entry was posted in flowers, framed artwork, nature artwork, original artwork, pastel on May 30, 2018 by Bernadette.